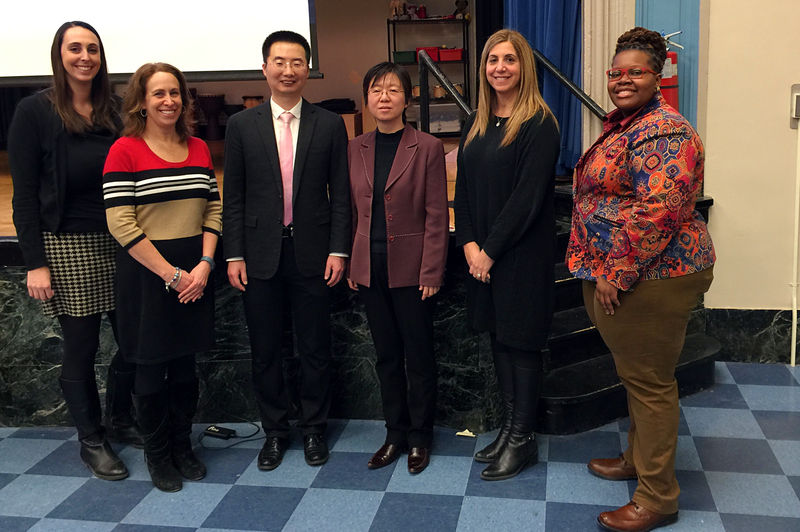 On January 28, Consul Song Changhong and Vice Consul Li Han of Chinese Consulate General in Chicago gave a presentation on Chinese Culture at Ebinger Elementary School near Chicago. 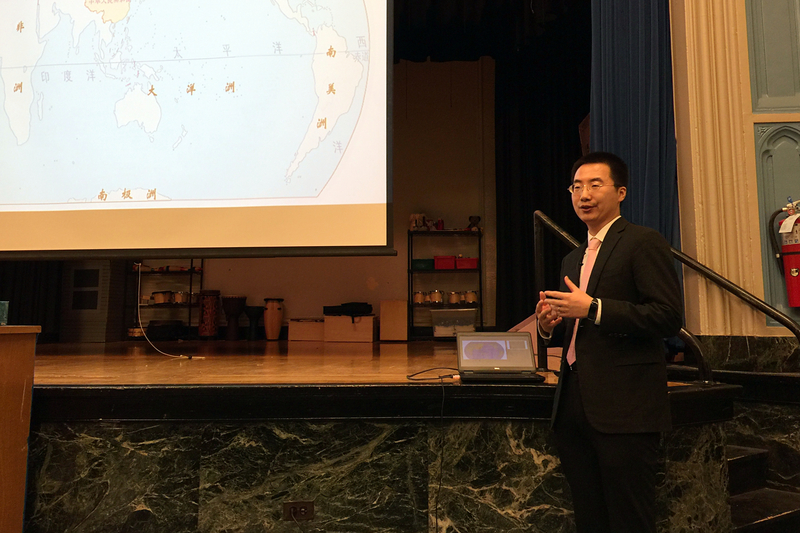 Vice Consul Li briefly introduced China’s urban and rural landscapes, traditional arts and major festivals to over 200 students and teachers. The presentation lasted for an hour and were full of interactions. 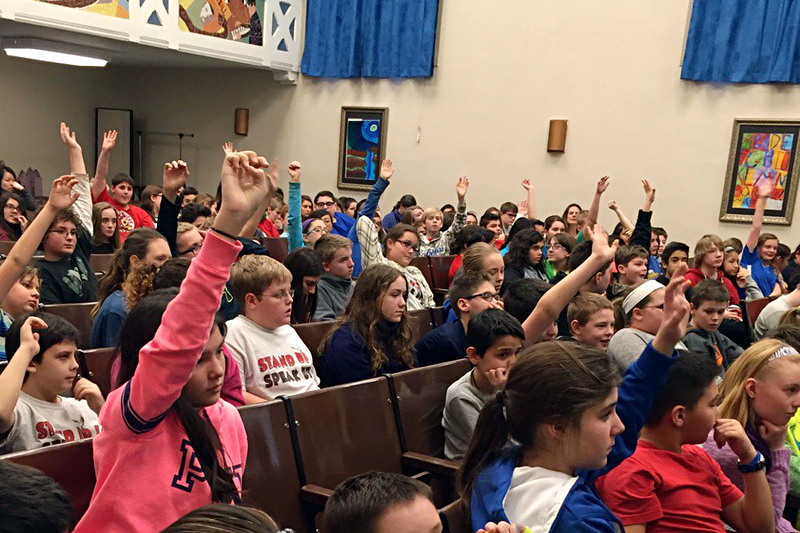 The students showed great interest in Chinese culture and asked many questions during and after the presentation. The consuls answered the questions in detail.